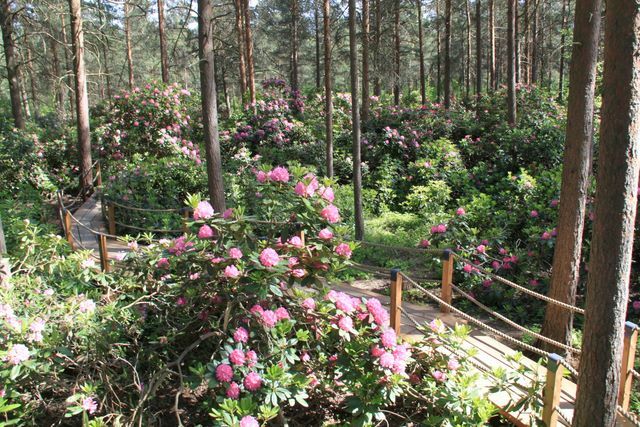 Haga Alpine Rose Park (Rodop) is part of Finland's unique circumstances, woody ornamentals, plant breeding work. The area planted in 1975, a total of 3,000 rhododendrons cultivars or research purposes. 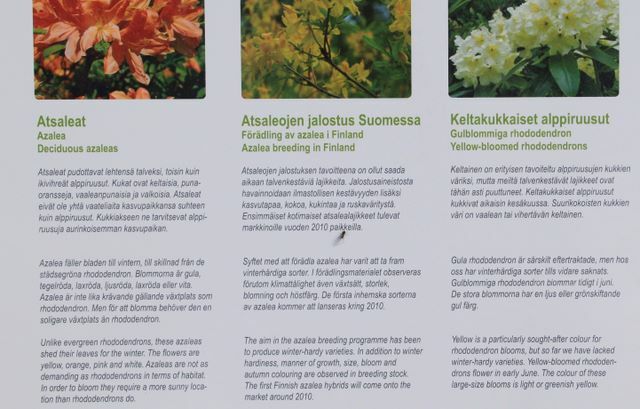 Breeding program was to create a Finnish adapted cultivars to local conditions and rich in colors. In spring 1996, the Alpine Rose Park was expanded north side of the road bike, which planted thousands of new alpine yellow roses and a large number of rhododendron family from park azaleas. Also, these plants are part of a larger hybrid material. 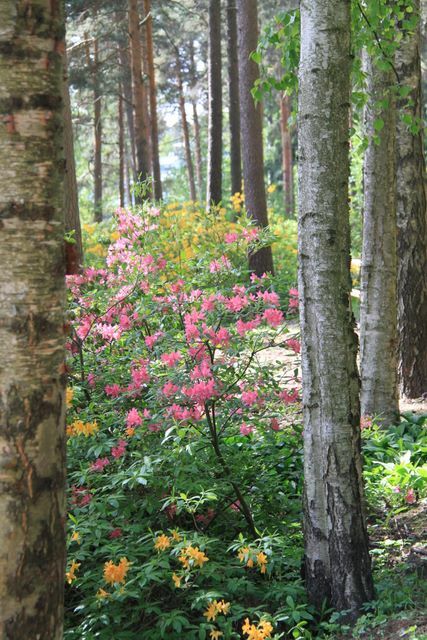 The wooded park is its most magnificent in June when the rhododendrons bloom and azaleast. Flowers can also be admired from the top three viewing platform, accessible via wheelchair. Rhododendron blossoms are not always so generous. Usually abundant flowering following a modest year. 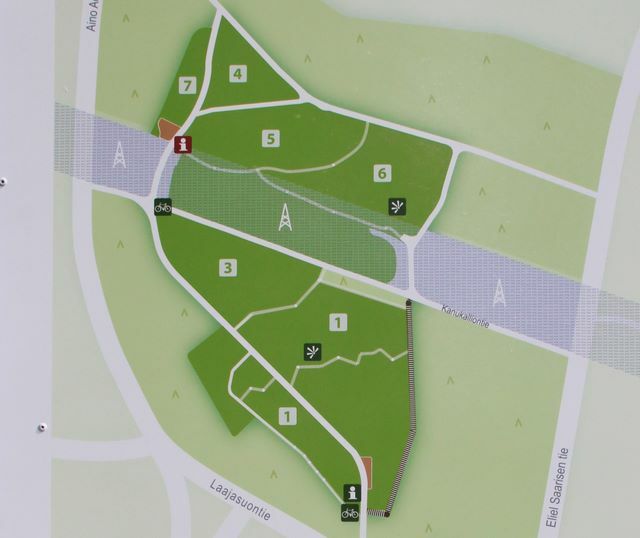 The park is located in South-Haaga, Big Swamp Road end, opposite the intersection Paatsamastreet. Trains M, E, L, A, S and U Huopalahti station and bus lines 40 and 43 of Thalia's Square and the bus 41 by Eliel Saarinen road. Cf. HKL's website. Are you familiar with rhododendron? Finland speaks in general terms only rhodos when referred to the blue-violet flowers on evergreen, alpine roses in the park (= Rhododendron catawbiense) or a few red or white flowers of the variety. 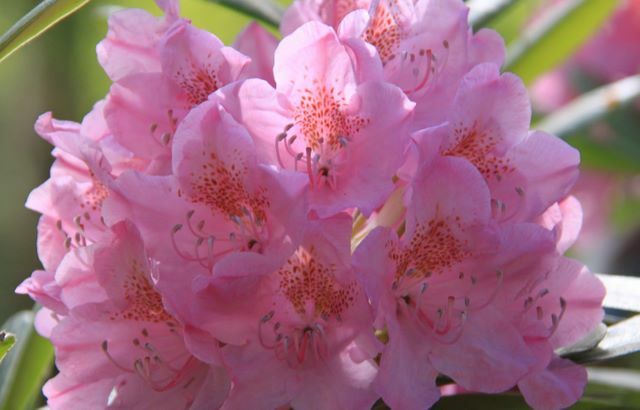 Few remember that the rhododendron is an entire plant of the genus name. Alpine Roses are the rhododendron park in addition to mm. deciduous azaleas and Christmas flower shops for sale azaleas. In addition, the genus includes nearly 900 species. As a result of processing where there is almost 5000 registered bushy rhododendron varieties. Grows wild in arctic Lapland rhododendron. Familiar marsh tea now also classified as the genus Rhododendron.